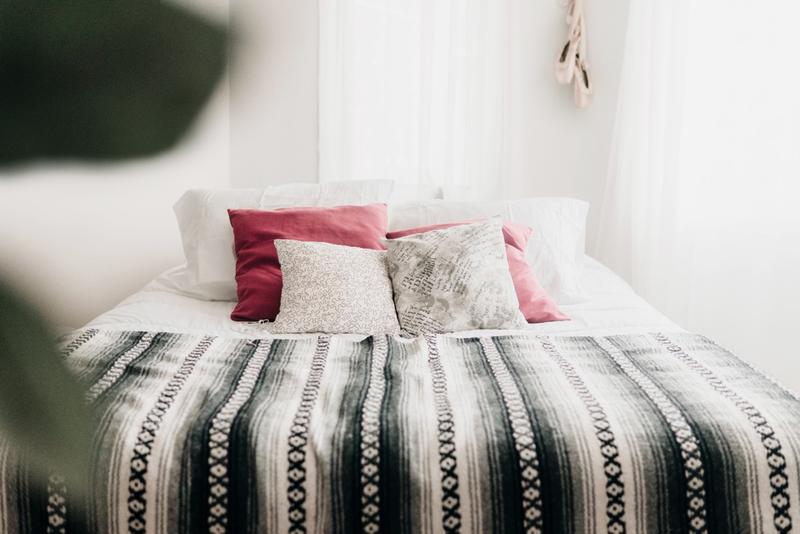 We all want our overnight guests to feel welcome when they stay, and the majority of homeowners would have a guest room set aside for that very reason. Whenever we stay over at a friend’s apartment or at a relative’s house, we are usually given the red carpet treatment, and it is natural to want to return the hospitality, and with that in mind, here are some novel ways to add some colour and depth to the guest room. Stylish Screening Solutions – Why not opt for wooden Venetian blinds made to measure? There are online suppliers of quality screens and blinds who will fabricate the units to precise measurements, and with a wide range of timber finishes from light to dark shade, there will be something that matches the setting perfectly. If you are a little bored with your regular curtains, you could have the blinds made for every room, which will give you the ultimate in shading and seclusion, and with trade prices, revamping the whole house won’t be a big budget item. Add Some Digital Entertainment – You obviously want your overnight guests to really feel at home, and installing a flat TV mounted on the wall will certainly provide your guests with a choice of TV or video before they retire for the night. If the walls of your guest room are looking a little dull, how about some tasteful wall art to brighten things up? You can buy a few inexpensive prints in stylish frames to give the guest room some colour, and if the room hasn’t been decorated in a while, a coat of paint would not go amiss. If you’d like to go the whole hog, there is a guide to buying a home theatre, which would ensure your guests can watch movies before they retire for the night. 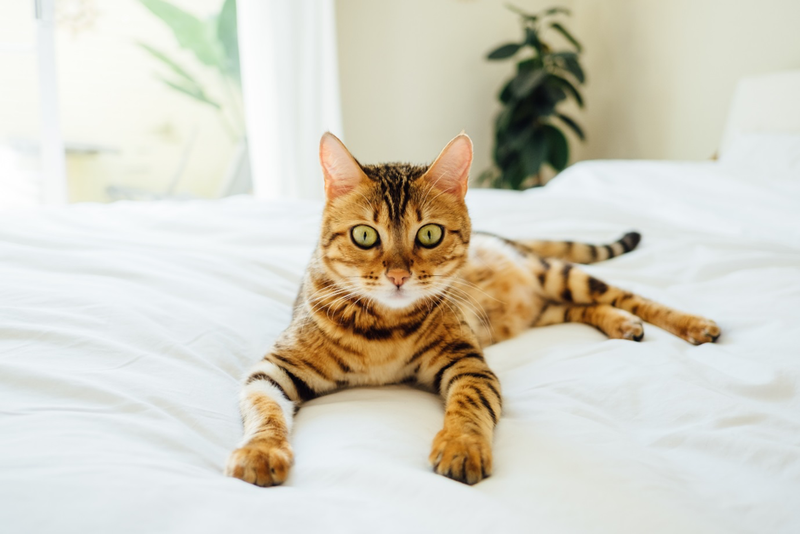 Invest in Some Colourful Bedding – Perhaps traditional sheets and blankets are best left for the children, while your overnight guests can experience a quality quilt with matching sheets and pillow cases. Obviously, you want your guests to have a good night’s sleep and a quality quilt will certainly go a long way towards that. If the room is already decorated, you can choose contrasting colours for the bedding, which will make your guests feel comfortable. Attention to Detail – If the guest room has an en-suite bathroom, then make sure that all the essentials are present: shampoo, bars of soap, some cotton buds, toothpaste and shower cap. Spray some air freshener liberally the day before your guests are expected, which will give the room a fresh, clean feel, and you could even buy a pair of matching slippers, something your guests will certainly appreciate. Flowers – If you have a nice range of flora in the garden, spend half an hour snipping and putting together a tasteful flower arrangement in a suitable vase, which is a great addition to the room. It will certainly make your guests feel welcome and it is the little things that people appreciate. It is worth spending a little time looking at examples of guest room images, which should give you some inspiration, and with all of the above covered, your guests will really enjoy their stay.